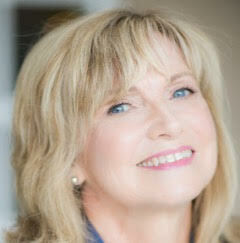 Sandy Evenson brings a wealth of knowledge and expertise, extensive training, and multi-faceted life experiences, to her personal development coaching practice. She guides clients, step by step, out of inner resistance, and into a more empowered and powerful version of themselves ... more confident, more passionate, more enthusiastic, more focused, and more joyful ... truly a better version of themselves, able to achieve and maintain their dreams. "I am in a constant state of awe, watching people have amazing breakthroughs. They start out stuck, and playing small, full of self-sabotage, self-doubt, and self-defeating on the inside. There's a dramatic inner shift as they begin to speak, act, and show up differently. My largest group of clients now, are mature women who have become overwhelmed with the stresses of taking care of everybody else. Their bodies and spirits are broken when they begin this journey with me. They reconnect to their inner core, embracing renewed energy, and literally radiating passion and personal power, while taking action on their goals, and creating success in all aspects of their lives, for the wealth, health and happiness they desire." Sandy seamlessly transitioned from her career as an award winning hairstylist to transformational coaching. She realized that she had already been counseling her clients for years, as she stood behind the chair in the salon. She gave them a safe place to talk about their lives, to be heard without judgement, voicing their worries, hopes and dreams, just as she holds the space for her clients now during sessions. As she coaches individuals, she awards them with the constant celebration of their talent and potential, and finds the perfect balance between reflecting what she hears from them, and guiding each of them to meet their goals. Sandy has lived through traumas and struggles of her own, which gives her the ability to hold her clients in a container of safety, with a warm heart, and simple grace, with her "If I did it, so can you" attitude. People truly feel empowered, confident, and excited about their lives. She has spent a major part of her lifetime perpetually seeking and learning, and then teaching and sharing ... changing lives, and creating dreams, for her clients everyday. Margaret M. Lynch, New England Success Coaching, Inc.